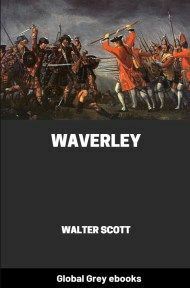 A historical novel by Walter Scott. 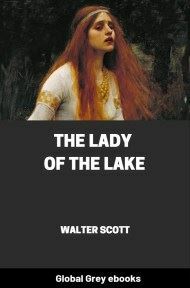 It is narrated by Frank Osbaldistone, the son of an English merchant who travels first to the North of England, and subsequently to the Scottish Highlands, to collect a debt stolen from his father. 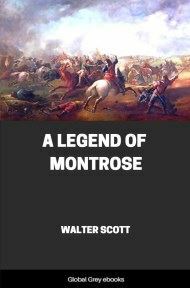 On the way he encounters the larger-than-life title character, Rob Roy MacGregor. 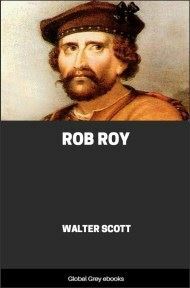 Though Rob Roy is not the lead character (in fact, the narrative does not move to Scotland until halfway through the book), his personality and actions are key to the novel's development. You have requested me, my dear friend, to bestow some of that leisure, with which Providence has blessed the decline of my life, in registering the hazards and difficulties which attended its commencement. The recollection of those adventures, as you are pleased to term them, has indeed left upon my mind a chequered and varied feeling of pleasure and of pain, mingled, I trust, with no slight gratitude and veneration to the Disposer of human events, who guided my early course through much risk and labour, that the ease with which he has blessed my prolonged life might seem softer from remembrance and contrast. 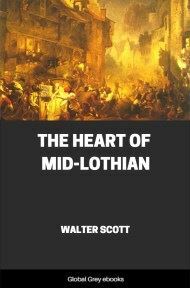 Neither is it possible for me to doubt, what you have often affirmed, that the incidents which befell me among a people singularly primitive in their government and manners, have something interesting and attractive for those who love to hear an old man’s stories of a past age. Still, however, you must remember, that the tale told by one friend, and listened to by another, loses half its charms when committed to paper; and that the narratives to which you have attended with interest, as heard from the voice of him to whom they occurred, will appear less deserving of attention when perused in the seclusion of your study. But your greener age and robust constitution promise longer life than will, in all human probability, be the lot of your friend. Throw, then, these sheets into some secret drawer of your escritoire till we are separated from each other’s society by an event which may happen at any moment, and which must happen within the course of a few — a very few years. When we are parted in this world, to meet, I hope, in a better, you will, I am well aware, cherish more than it deserves the memory of your departed friend, and will find in those details which I am now to commit to paper, matter for melancholy, but not unpleasing reflection. Others bequeath to the confidants of their bosom portraits of their external features — I put into your hands a faithful transcript of my thoughts and feelings, of my virtues and of my failings, with the assured hope, that the follies and headstrong impetuosity of my youth will meet the same kind construction and forgiveness which have so often attended the faults of my matured age. One advantage, among the many, of addressing my Memoirs (if I may give these sheets a name so imposing) to a dear and intimate friend, is, that I may spare some of the details, in this case unnecessary, with which I must needs have detained a stranger from what I have to say of greater interest. Why should I bestow all my tediousness upon you, because I have you in my power, and have ink, paper, and time before me? At the same time, I dare not promise that I may not abuse the opportunity so temptingly offered me, to treat of myself and my own concerns, even though I speak of circumstances as well known to you as to myself. 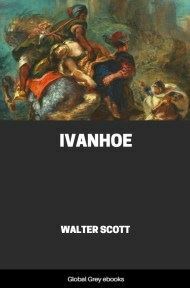 The seductive love of narrative, when we ourselves are the heroes of the events which we tell, often disregards the attention due to the time and patience of the audience, and the best and wisest have yielded to its fascination. I need only remind you of the singular instance evinced by the form of that rare and original edition of Sully’s Memoirs, which you (with the fond vanity of a book-collector) insist upon preferring to that which is reduced to the useful and ordinary form of Memoirs, but which I think curious, solely as illustrating how far so great a man as the author was accessible to the foible of self-importance. If I recollect rightly, that venerable peer and great statesman had appointed no fewer than four gentlemen of his household to draw up the events of his life, under the title of Memorials of the Sage and Royal Affairs of State, Domestic, Political, and Military, transacted by Henry IV., and so forth. These grave recorders, having made their compilation, reduced the Memoirs containing all the remarkable events of their master’s life into a narrative, addressed to himself inpropria persona. And thus, instead of telling his own story, in the third person, like Julius Caesar, or in the first person, like most who, in the hall, or the study, undertake to be the heroes of their own tale, Sully enjoyed the refined, though whimsical pleasure, of having the events of his life told over to him by his secretaries, being himself the auditor, as he was also the hero, and probably the author, of the whole book. It must have been a great sight to have seen the ex-minister, as bolt upright as a starched ruff and laced cassock could make him, seated in state beneath his canopy, and listening to the recitation of his compilers, while, standing bare in his presence, they informed him gravely, “Thus said the duke — so did the duke infer — such were your grace’s sentiments upon this important point — such were your secret counsels to the king on that other emergency,”— circumstances, all of which must have been much better known to their hearer than to themselves, and most of which could only be derived from his own special communication. 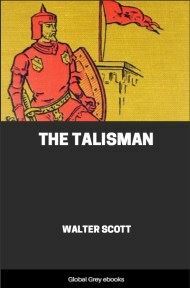 My situation is not quite so ludicrous as that of the great Sully, and yet there would be something whimsical in Frank Osbaldistone giving Will Tresham a formal account of his birth, education, and connections in the world. I will, therefore, wrestle with the tempting spirit of P. P., Clerk of our Parish, as I best may, and endeavour to tell you nothing that is familiar to you already. Some things, however, I must recall to your memory, because, though formerly well known to you, they may have been forgotten through lapse of time, and they afford the ground-work of my destiny.